​​Home of Tiny Chihuahuas is located in West Central Florida. 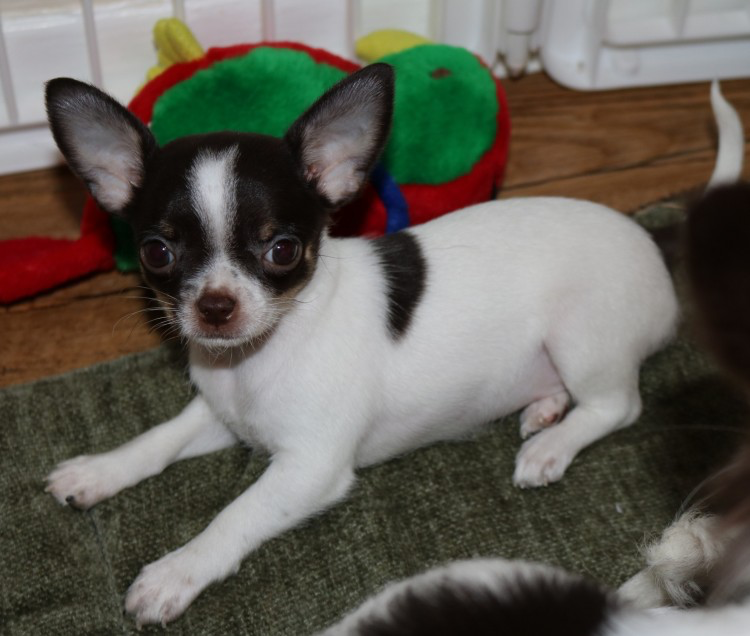 We are a small Chihuahua breeder with a huge passion for the breed. We raise all our Chihuahuas right in the center of our home! All of our puppies are started on potty training and socialization giving them a great start in their new home. We offer lifetime support for all our puppy homes who need tips or tricks for raising social, happy and obedient Chihuahuas! We are new to showing, but would also love to help others get started in showing as well if you are interested. We also offer a 1 year health guarantee on all puppies we raise! We are so blessed that we have the opportunity to include this lovable breed in our lives! Our Chihuahuas are very well loved everyday in our home. 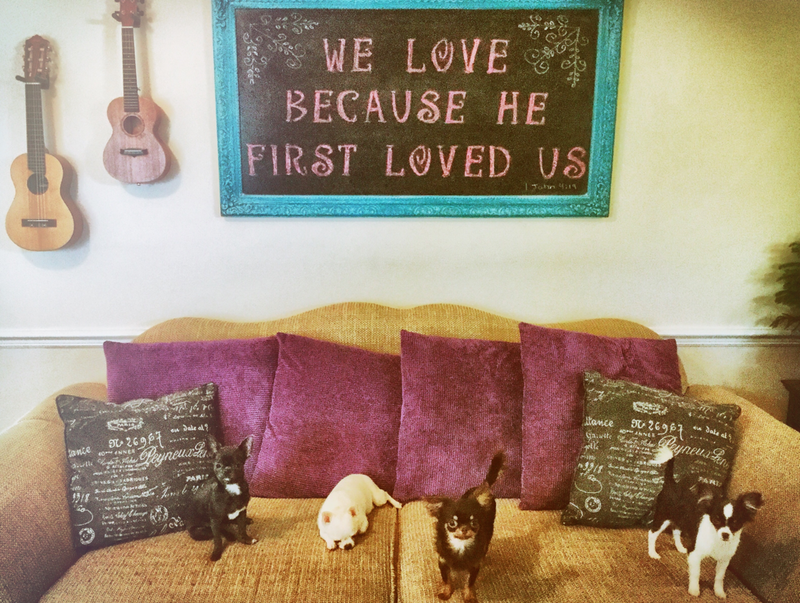 We believe in treating our Chihuahuas as part of the family. Each one has their own unique personality and characteristics that we adore! I strongly suggest, because of the Chihuahuas social nature, that they have a canine companion when living in a home that their owners must be away for long hours each day. They prefer another Chihuahua, but they do well with cats and other breeds too. At our home we DO NOT keep our Chihuahuas in tiny cages or in outdoor kennels; instead we use exercise pens that allow them lots of playing room. It gives them ample room to run and play, have soft beds for sleeping and snuggling with mom, lots of toys for stimulation, food and water dishes, and room at the far end for their potty pads. I also like exercise pens because they are short enough that I can climb right in with them anytime I want! When puppies are old enough we let them start exploring our house outside of their exercise pens which allows us to further their early potty training. I work from home and home school so we get to interact with our chibabies all through the day! We handle the babies many times a day from birth so they are used to being handled, having their nails clipped and being carried. My daughter and her friends of various ages are great puppy socializers!! Caution though when you let children hold puppies for socializing they should ALWAYS be siting on the floor for safety of puppy. We use the Misty Method to start potty training around 4 weeks old. How it works is when the puppies are just old enough that they are walking around they start to look for a place besides their bed to relieve themselves, so I place potty pads right next to their bed. If accidents happen in the bed it is removed right away and replaced with a clean bed to encourage their instincts to keep their den/beds clean. As the puppies age each week the pads are moved farther from the bed which encourages the clean den instinct even more, until there is one place to potty farthest from the sleeping area. At 8-12 weeks old their bladders are still not strong enough to have full run of an entire house without accidents unless you have potty pads every 4-5 feet LOL. That is what I do when it is free roam time. I really recommend exercise pens for the puppy stage which will last for many months. The pens are collapsible and portable to take indoors or outdoors. At the bottom of page is a picture of my one of my exercise pens to get an idea of what they are like. I do not know how I ever lived without them. Even for adult Chihuahuas they work great for when you go to work if you would normally kennel them as it gives them plenty of room to have some freedom instead of being cramped in a tiny kennel for many hours a day. We do not reccomend the canvas ex-pens as we have a few for travel and the real clever puppies have learned that they can get out and sometimes they chew on the seams. Most plastic pens, except for the IRIS brand, are not good either as teething puppies will chew and plastic is cancerous to chew on. Also, Some of the plastic pens are not designed for puppies. Some people have bought a pen for human babies with diamond shaped holes and some clever Chihuahuas learn how to climb up and out! 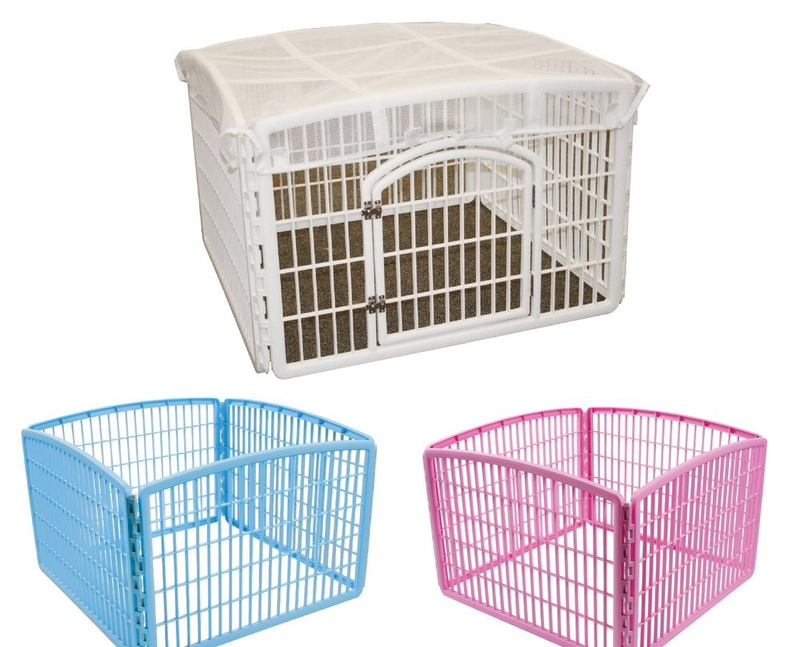 The metal exercise pens come in all sizes, most are 8 panels that are about 2 feet wide. They range in heights from 24 inches to 48 inches. The 30 inch high pens are great because you can easily step over and climb in or lean over and pick them up. The shorter 8 paneled ones are about $40-$50 including shipping on Ebay and Amazon. Ebay and Amazon are by the far the cheapest I have found, but Pets Mart does carry them too if you need one right away, but at a much higher cost. The IRIS brand shorter plastic pens are the most affordable and my favorite now. If you are buying one of my puppies I can order one of these for you if you do not have ebay account. Then you can pay for it when you pick up your puppy. It is a must that you NEVER send your Chihuahua to the shelter or pound. They will suffer greatly there. If you are considering this as a last or first resort please feel free to contact me as I would love to help you find your baby a safe and loving forever home. If you bought a puppy or adult Chihuahua from us you are obligated under contract to return the dog to us if you cannot keep him or her yourself! Our contract says you can never take your dog to a shelter. If for some reason you cannot keep your Chihuahua that you bought from us then please contact us first to see if we can take the dog in or we will find responsible home that can. If you did not get your dog from us it is very easy to find a new home yourself rather than sending them to a shelter. Of course this is a last resort as we believe you should be committed to your family member, but you can find a loving home by listing them on hoobly.com or ebayclassifieds.com, "Chihuahua to good home" and they will have a great home in a matter of days. It is advised to ask for a small re homing fee to avoid someone who does not have the means to properly care for a pet and to avoid people who will exploit the poor animal. Beware there are real people out there posing as a good home, but they collect free or cheap dogs and sell them to labs or dog fights. If your dog is not fixed beware of puppy mills who will pretend to be a good home. You should screen the potential buyers for what kind of home life and commitment they can offer the dog. If you would like tips on prescreening homes feel free to contact me. If you are looking to add a furbaby to your family please first consider a shelter dog. If a shelter dog is not feasible for your home based on your families needs then I would love to help match up the perfect puppy for your family. Each panel separates and you can buy two and hook them together for an even bigger space as they grow. The cover is sold separately and not necessary unless you want them to play outside safe from hawks and sun.